Are you looking for a BMW X5 for sale in Chicago? What about the BMW X3? BMW X4? If you’re in the market for a new luxury crossover, the BMW X Series is the way to go, and we stock the full lineup at Perillo BMW. What Sets the BMW X1, X2, X3, X4, X5, and X6 Apart? You might want to know what makes a vehicle like the BMW X5 better than, say, the Acura MDX. Or what makes the critics sing about the BMW X3? You’ve come to the right place, but we think that if you’re searching for a new luxury crossover, it’s best to simply get behind the wheel and drive. 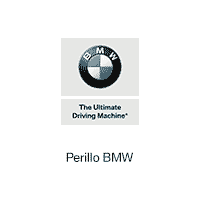 Contact Perillo BMW today to schedule your test drive and discover which of the BMW X Series models is right for you. We’ll put you behind the BMW X Series model you’re looking for, whether it’s an X5 or X6 in Chicago or another model in the lineup.